**New** - Guided Trips : Friday to Sunday, bring only your clothes and toothbrushes. We will take care of the rest. $300.00 per person, 4 people minimum. All Prices In Canadian Funds and subject to GST and Provincial Sales Tax. Sorry, no refunds on early return from park. 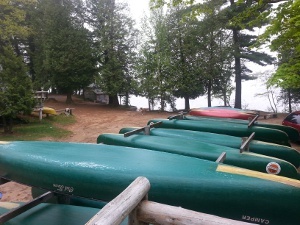 ALGONQUIN PARK PERMITS - The Ontario Ministry of Natural Resources collects a fee for every canoeist in the Park. A limited number of permits per day will be issued by the Ranger on our lake. IMPORTANT: The process for obtaining a permit has changed since last year. If you have any questions regarding the procedure for obtaining a park permit, you can call: 1-888-ONT-PARK (1-888-668-7275) or you can obtain more information here. Please ensure that you pick up your Algonquin Park Permit Prior To Arriving At Northern Wilderness Outfitters. Parking is inclusive for all Northern Wilderness clients. 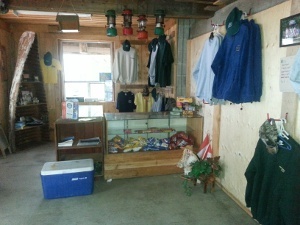 You arrive at our site, leave from our dock which is the nearest Outfitters to North Tea Lake.